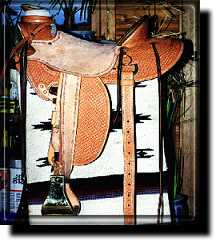 The Saddle is the centerpiece of the working cowboy's outfit. 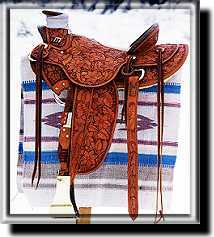 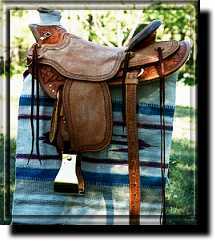 Finding its roots in the equipment of the Mexican vaquero the modern saddle has been changed and modified to make the saddle tougher, more durable and easier on the ride. 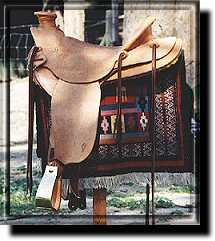 On this page you can find some examples Peter has build click on the saddle to see a larger version and description of the saddle. 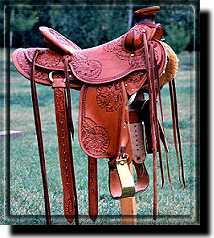 Peter's saddles are handcrafted with the finest materials available and are often ornamented with flower tooling or stamping. 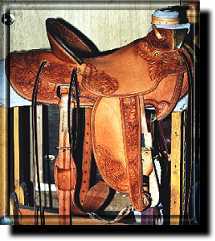 Each saddle is a unique masterpiece created to fit the horse and rider and to pleas the eye. 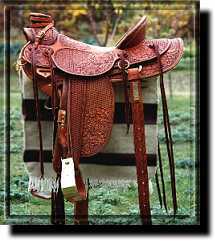 For those of you who can't wait to have a saddle build Peter keeps some saddles made up, they are either rough out or half breed with a border stamp. 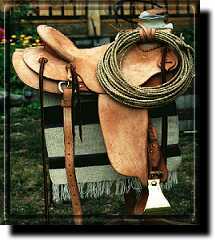 Pleas feel free to contact Peter for more information. 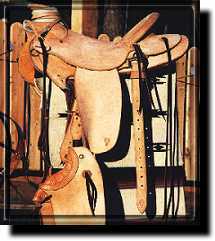 All material is © 2000 - 2003 by Peter Mayer unless stated otherwise.